Through the looking glass, over the yellow brick road and across the ocean, this third volume of the Moods of Ireland series, Mystical Moods of Ireland, Vol. III: Magical Irish Countryside, will surely transport you to the enchanting and serene realms of the Emerald Isle. Whether your heart longs to visit Ireland or you've already experienced the country's magnificent natural beauty first-hand, this book will surely offer you a deep and endearing connection to the spirit and soul embodied in the Irish countryside. 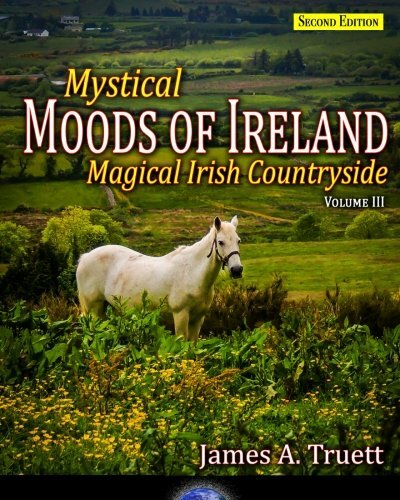 Order your copy of Mystical Moods of Ireland, Vol. III: Magical Irish Countryside today and escape into the peace, tranquility of enchanting beauty of the magical Irish countryside!